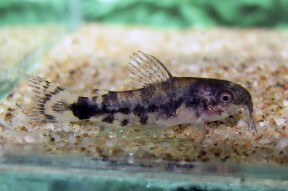 Aquarium-bred juvenile at approximately six weeks of age. 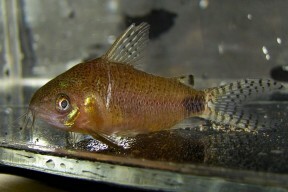 guapore: named for the rio Guaporé in Brazil, type locality of this species. 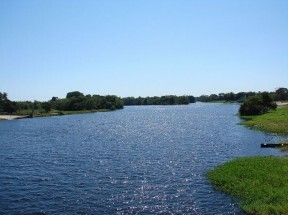 C. guapore has been recorded from the mainstream Guaporé/Iténez in both Bolivia and Brazil, which is unsurprising given that the river forms the border between the countries for a portion of its length. It is likely to occur in various tributary drainages at least as far upstream as the Río Paucerna in Noel Kempff Mercado National Park. Type locality is a ‘Main stream of upper Rio Guaporé, Rondônia, Brazil’. Other décor is largely down to personal choice, but some cover should be provided to give the fish security, ideally in the form of driftwood roots and branches, leaf litter and live vegetation at the water surface. C. guapore is slightly different in that it is partially adapted to forage on pelagic zooplankton (see ‘Notes’) meaning a diet containing plenty of live Daphnia, Artemia, and suchlike is recommended. 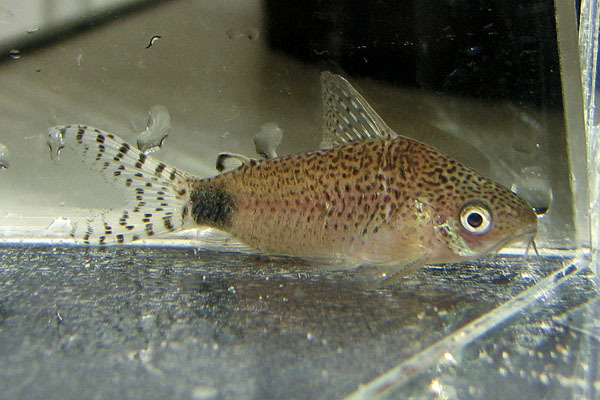 This species is rarely bred in aquaria, although when successful the method is typically similar to that used for many other Corydoras species. This species is a sought after aquarium fish although it is not often traded. It exhibits slightly different behaviour to the majority of congeners in that it tends to form aggregations in midwater and spends a large proportion of its time away from the substrate. Its morphology exhibits corresponding adaptations towards a pelagic existence with a relatively large eye, a more terminal mouth position, more strongly-forked caudal-fin, and more symmetrical body shape than most other Corydoras species. It may be confused with a handful of congeners, particularly C. caudimaculatus, C. ourastigma, and C. similis, although all of them differ from C. guapore in that they are not adapted to feed within the water column and do not possess the characters mentioned above. In addition, C. caudimaculatus has a deeper body with a more heavily-spotted colour pattern, C. ourastigma a prolonged snout and larger dark blotch on the caudal peduncle, and C. similis a greenish sheen on the body, more heavily-spotted colour pattern, and a less well-defined caudal peduncle blotch. This group of species are all native to the rio Madeira basin (or neighbouring rio Purus in the case of C. ourastigma), and the existence of multiple, similarly-coloured species which coexist and form large mixed schools is relatively common in the genus. 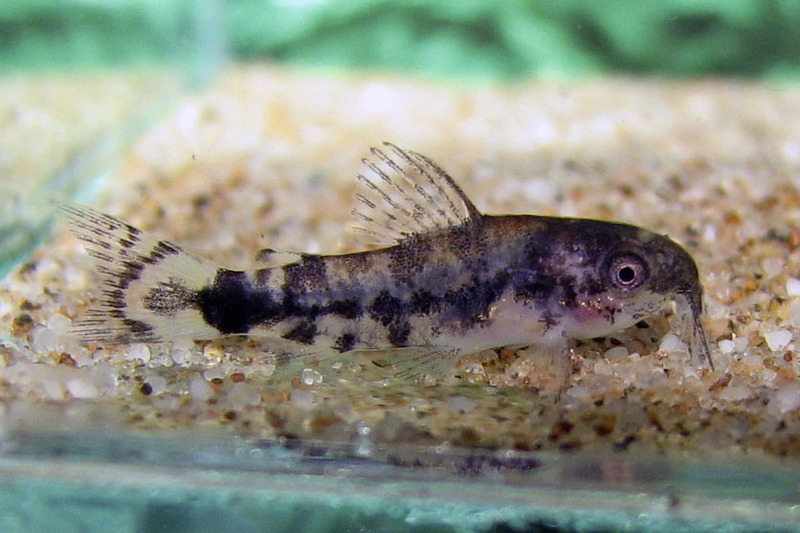 In some cases Corydoras colour patterns have even evolved in other taxa, such as certain members of the genera Otocinclus, Brachyrhamdia, and Serrapinus. The reason for the success of such patterns is thought to be protection from predators in that they feature cryptic or otherwise disruptive details such as stripes, reticulations, or strongly-coloured fin spines. Similarly-patterned species may therefore have evolved to take advantage of foraging in a larger group while simultaneously adapting to exploit contrasting ecological niches. 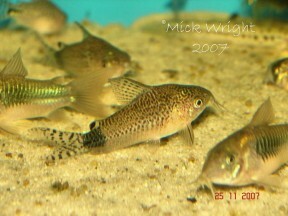 In Corydoras, this is typically expressed via differences in snout length, for example. Genetically, however, C. guapore appears to form a distinct lineage with C. mamore and C. paucerna which are also native to the upper rio Madeira and have evolved similar morphological adaptations to C. guapore, but possess colour patterns reminiscent of other genus members from the region. 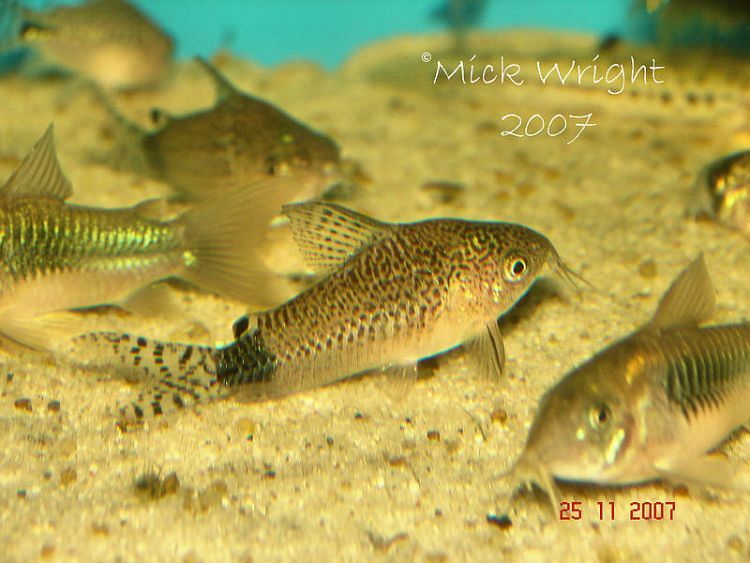 Ein neuer Panzerwels aus Brasilien (Corydoras guapore) (Pisces, Teleostei, Callichthyidae).